PAC has cabinets to store bags and small bags. We cannot store coats and overcoats. Located at the entrance of the PAC, is open during exhibition days and hours. 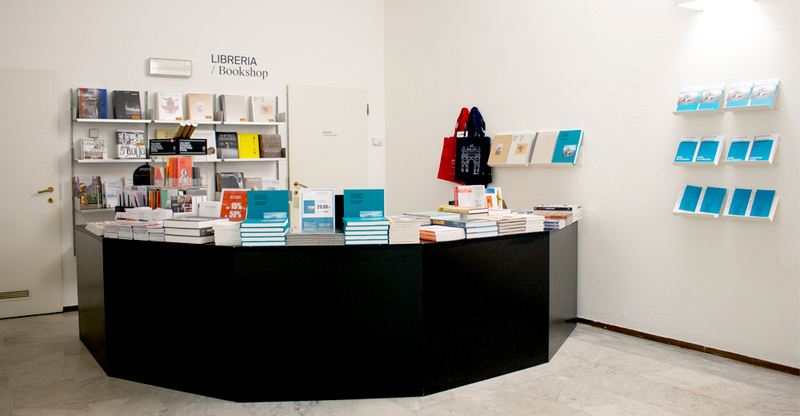 Here you can find the catalogue and others books connected with our current exhibition as well as gifts, bags, postcards in a wide display of merchandise. Available for everybody at the entrance: ask for it to the ticket office! PAC is fully wheelchair accessible and has facilities up to standard. PAC doesn't have a dedicated space but you can take a coffee in GAM'S courtyard in front of the PAC.